David completed a 4-year course in Chinese medicine at the East-West College in Israel Following his studies David worked as a therapist for Maccabi Teva, one of the biggest providers of complimentary medical services in Israel. There he gained experience in treating patients with a variety of ailments including chronic pain, neurological disorders and sports injuries. He also gained extensive experience treating patients undergoing orthopedic and neurological rehabilitation. As part of his ongoing education, David completed courses in sports rehabilitation (Wingate Institues, 2008) and the use of Chinese medicine in neurological rehabilitation (Hai Hua Hospital in China, year 2005). In 2009 and again in 2013 David travelled to Japan to study Yamamoto New Scalp Acupuncture (YNSA) under the guidance, Dr. Toshikatsu Yamamoto, founder of the method. During his stays in Japan, David has developed a strong professional relationship with Dr. Yamamoto, which he continues to maintain. His constant contact with Dr. Yamamoto enables him to remain updated on developments within this field, and maintain the highest level of proficiency when using YNSA in the clinic. In order to promote YNSA, David co-founded the International School of Scalp Acupuncture, an organization aimed at promoting YNSA by teaching the technique to acupuncture therapists around globel. David has delivered invited lectures on YNSA at professional conferences in Israel including, The Congress on Chinese Medicine, the Annual Meeting on Rehabilitation Medicine, and the annual meeting for complimentary medicine. David founder of the Pnima Center in Haifa, Israel. The Pnima Center is devoted to the practice of complementary medicine in an integrative manner, in which patients are encouraged to supplement the benefits of conventional medicine with complementary treatments provided at the center. since its establishment in 2007 , the center has become the leading center for Chinese medicine in Haifa, and the leading center for teaching YNSA in Israel. The Pnima Center operates a community clinic, which treats over 150 patients per week. Patients at the center are treated with a combination of methods and techniques including herbal medicines, acupuncture, twina and Moksa. The Pnima center takes pride in its department for continuation and enrichment studies in complimentary medicine, which is the leading department in this area in Israel. This department provides educational content with the highest degree of professionalism and the highest degree of quality to chines medicine practitioners and other care providers that use complementary medical techniques. In addition,The center runs five courses per annum to YNSA. Over 150 students have been trained on the YNSA technique by Pnima. These students now routinely use the method in their clinics, and have achieved outstanding results with their patients. In recent years David has been involved in clinical research investigating the influence of YNSA acupuncture on patients during rehabilitation. This research is being conducted at the rehabilitation clinic at the Bnei Tzion Medical Center in Haifa, under the direction of Dr. Katlyn Goldenberg. As part of this project David established a treatment protocol within the hospital rehabilitation center in which scalp acupuncture is combined with physiotherapy. The combined treatment seems to lead to faster and more efficient rehabilitation. David Bomzon believes that the body has an immense capacity to heal itself, and that his job as a therapist is to remind the body how to do this. Throughout his career David as a therapist, lecturer and mentor David has pushed for the integral combination of acupuncture, Chinese medicine and scalp acupuncture. 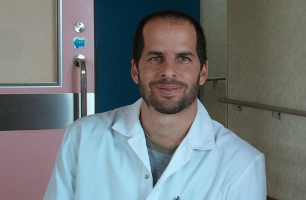 Today he is one of the leading therapists in Israel specializing in rehabilitative and integrative acupuncture.